Nearly 150 years ago, Ezo, home of the indigenous Ainu people, was rechristened Hokkaido, formalizing the centuries-long process of the island’s assimilation into Japan. To mark this occasion, a number of companies, groups and municipalities have banded together to launch the Hokkaido 150th Anniversary Project. Hokkaido Prefecture has earmarked ¥ 268 million for the project in its budget for fiscal 2018. Coming 10 years after the government acknowledged the Ainu as northern Japan’s “indigenous people,” this should be a time to reflect on the consequences of the colonization of Ainu land and the near-decimation of the Ainu people and culture. But while raising awareness of Ainu culture is one of the stated goals of the 150th Anniversary Project, the Japanese word for “indigenous people” appears nowhere in the project’s publicity materials. On the Ainu front, the government is pouring much of its effort into promoting the Symbolic Space for Ethnic Harmony in Shiraoi, Hokkaido, a national center currently under construction that aims to revitalize Ainu culture. This new complex, consisting of a National Ainu Museum, National Park for Ethnic Harmony and a memorial facility, is scheduled to open on April 24, 2020, an auspicious day in the Buddhist calendar just three months before the Summer Olympics in Tokyo, which are expected to bring in 1 million visitors. But what is supposed to be a unifying symbol has sown disunity among Ainu groups, particularly those based in the prefecture. A center that was intended to lay to rest the issue of Ainu remains stolen from burial sites around the prefecture is instead digging up old animosities, raising difficult questions, sparking lawsuits against Hokkaido’s top colleges and pitting Ainu groups against one another. The memorial facility in the Symbolic Space is designed to house unclaimed Ainu remains excavated since the 1930s that are currently stored at universities across Japan. The facility will comprise an area for traditional memorial services and an ossuary, whose shelves have room for up to 2,300 boxes of Ainu remains. These bones may be made available for purposes such as academic research upon request. It’s a plan that angers Yuji Shimizu, head of Kotan no Kai (“the Association of Kotan”; “kotan” means “village” or “tribe”), an organization representing Ainu people with roots in what is now Shinhidaka town in southern Hidaka subprefecture. The idea of transferring the remains to the Symbolic Space has triggered resistance from some Ainu. They have approached not only Hokkaido University, but also the national universities of Tokyo, Kyoto and Osaka, asking for talks about the possibility of returning the remains to their Ainu homelands instead. 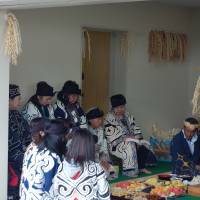 The Council for Ainu Policy Promotion (CAPP), the Cabinet Secretariat body set up to represent Ainu interests, announced in April 2017 that 1,676 sets of Ainu remains were being held at a total of 12 universities around the country, with Hokkaido University holding the majority, 1,015 sets. Furthermore, 12 museums or other institutions house 76 sets and 27 boxes of unclassified bones. A set can refer to anything from just a skull to a full skeleton. Nearly half of all the sets consist of just the skull. From the early 1930s, the militarist Japanese government, in fierce competition with Western powers in Asia, began heavily promoting advancement in science. Researchers began amassing huge collections of Ainu remains, often resorting to brazen grave robbery to aid their studies. The ransacking of graves continued right up until the 1960s. The issue of the return of remains has been a major issue for the Ainu people ever since. In the early 1980s, the intensifying campaign for restitution began to bear fruit, and 34 sets of remains were handed over to regional Ainu associations between 1985 and 2001. Since the plan for the Symbolic Space was revealed in 2011, four cases brought by Ainu people and groups against Hokkaido University have been settled, with the university agreeing to return the remains in dispute. Most recently, the Asahikawa Ainu Council reached a settlement on May 29 for the return of some sets of remains from Hokkaido University, which were handed over last month. Kotan no Kai leader Yuji Shimizu speaks at a press conference after the second hearing in the group’s lawsuit against Sapporo Medical University in the city’s district court. Lawyer Morihiro Ichikawa is on the right. Meanwhile, on May 18, the Sapporo District Court held the fourth hearing in a lawsuit filed by Kotan no Kai against Hokkaido University for the return of 195 sets of remains, the largest amount in any suit yet. Hokkaido University’s Faculty of Medicine excavated and took 161 of the 195 sets of remains, apparently at the request of what was then Shizunai town (now Shinhidaka), which was relocating a graveyard in front of Shizunai Station to make way for an urban project in 1956. Thirty-two more sets were taken when another graveyard was relocated in 1972, while the remaining two sets came from Higashihorobetsu in unknown circumstances. Kotan no Kai also sued Shinhidaka town, alleging it lied about reburying the 193 sets of remains unearthed in Shizunai. It is the first time an Ainu group has filed a lawsuit against a local government over this issue. The plaintiffs argue that Shinhidaka was obliged to offer a new burial place and rebury the remains under the Graveyards and Burials Act. Shimizu, 77, who was born and brought up in Shizunai, remembers the 1956 graveyard relocation. “I was a high school student. The Japanese history teacher who taught my class participated in the excavation with some students. I observed that site twice, so I can’t just turn a blind eye to it,” he says indignantly. 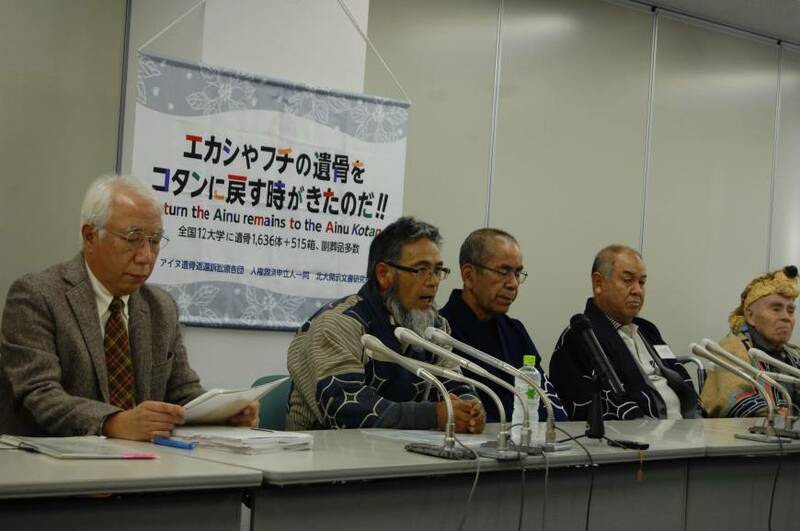 Shimizu is the public face of the activist campaign calling for the return of Ainu remains to their communities. Though Kotan no Kai is only a small group with around 30 members, it has played a part in three of the four cases cases in which Hokkaido University has agreed to return remains for reburial to the lands they were taken from. This time, however, Kotan no Kai is also up against opposition from the Ainu Association of Shinhidaka (AAS), which agrees with the transfer of the remains to the Symbolic Space. 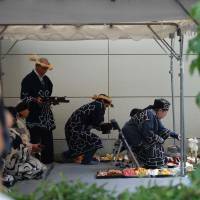 The Sapporo-based Ainu Association of Hokkaido (AAH) — the biggest Ainu group in the prefecture, which represents the Ainu community in talks with government — and many of the other 49 district-level Ainu associations support the transfers, partly because of the terrible condition they say the remains are being stored under at the universities. Minutes from CAPP working group meetings show that the AAH has been pressing for the resolution of the remains issue since the council’s inception in 2009, repeatedly stressing that all remains should be reburied in their homelands. On the other hand, they also recognize that in many cases, no system for accepting remains in the regions exists, given that the proportion of Ainu who are members of local indigenous groups has been decreasing, to around 10 percent in some districts. In the latest survey in 2017, the official number of Ainu living in Hokkaido was recorded as 13,118, having dropped by 3,668 in just four years. It is not known exactly how many Ainu people live in Japan as a whole. Due to discrimination, some Ainu are said to be reluctant to disclose their ethnicity. The drop in membership of these Ainu groups concerns professor Teruki Tsunemoto, a director of Hokkaido University’s Center for Ainu and Indigenous Studies and a member of the CAPP. A key problem with these lawsuits, he believes, is that the majority of Ainu people don’t get a say in the outcome. “A decision is made by only through negotiation between the plaintiffs and the university, which means that other Ainu people living in the regions concerned get no opportunity to communicate their opinions,” he says. Despite the AAS position, some of the plaintiffs in the case are members of both that organization and Kotan no Kai. The remains issue, once a source of shared anger for all Ainu, is now dividing organizations and communities in unexpected ways. Key to understanding the arguments over the return of remains is the concept of kotan, the independent Ainu societies that existed until the Meiji Restoration of 1868. Individual Ainu did not manage remains; instead, the kotan did for all its members. As Japanese migrated to Hokkaido in large numbers and the Ainu were forcibly assimilated into Japanese society, the kotan were rendered superfluous and ceased to exist. “The current situation is the result of arbitrary colonization, ignoring the rights of Ainu, since the Meiji Era,” argues Morihiro Ichikawa, chief lawyer for the plaintiffs in the Shinhidaka case and three previous cases against Hokkaido University. “The right to manage the graves of their kotan is one of the rights of all Ainu people. Suing for the right to recover the remains also means fighting to force the government to admit they have indigenous rights.” Ichikawa points out that even many Ainu people are unfamiliar with the history of kotan, which organized themselves under a variety of forms of government. Tsunemoto counters that the Ainu need to be realistic, considering facts on the ground. For many years, the government’s position was that while ideally remains should be returned to their kotan, given that these no longer exist, the remains should instead be returned to an individual, preferably a descendant, who could perform funeral and memorial services and visit and maintain the grave after reburial. This is in line with the Civil Code, formulated in the Meiji Era, which specifies that human remains can only be handed over to an individual — traditionally, the eldest son of the deceased — and not a group. It was only recently that the government began to discuss returning remains to local Ainu organizations. 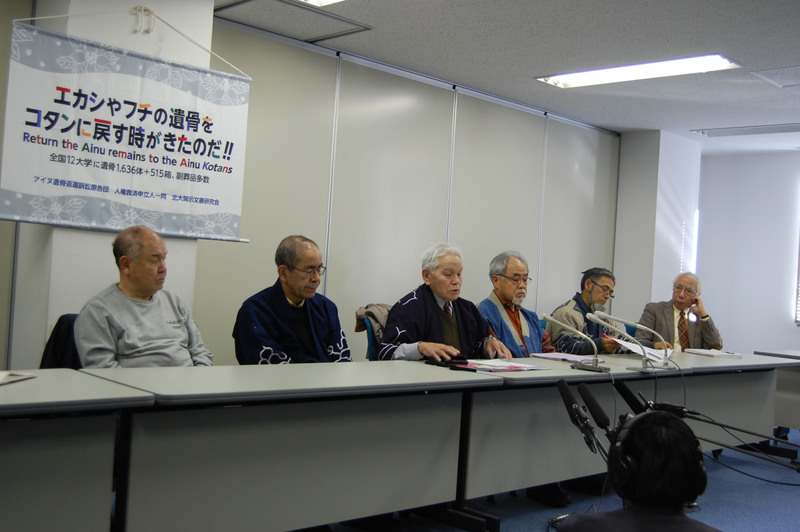 Apparently in response to an increase in claims from the Ainu people and their supporters, the remains issue has been the main topic of discussion at meetings of the CAPP working group since 2012. In 2013 the CAPP offered this guidance on the issue: Identifiable remains should be returned to an individual who can fulfill the duties usually carried out by a descendant — conducting the relevant services, visiting the grave and so on — while unidentifiable remains should be kept together at the memorial facility at the Symbolic Space. On May 14, the CAPP finally revealed its draft recommendation on the return of remains to local groups. All references to kotan have gone, and instead it proposes delivering the remains to Ainu groups who could conduct the appropriate death-related rituals and responsibilities, rather than individuals. Tetsuya Ueki, a professor at Tomakomai Komazawa University and author of “The Violence of Academic Science: How Come the Ainu Bones and Remains Were Excavated and Stolen,” praises the proposal, but he questions the requirement that Ainu groups receiving human remains perform memorial services. “In this basic policy, the group receiving the remains would be obliged to carry out a memorial service. But the government should not have the right to interfere in such a private affair,” he says. 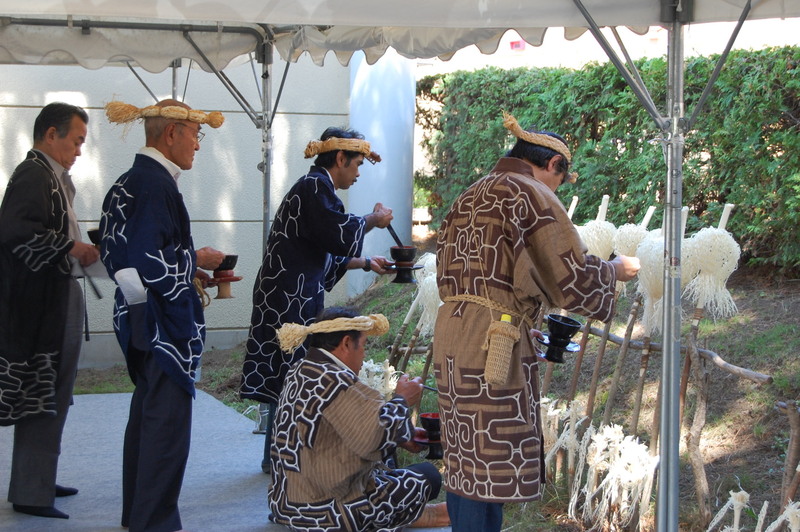 For example, traditionally, Ainu people do not visit the graves of their ancestors, unlike the Japanese. Based on these proposals, unidentified remains would be returned to an organization in the region where they were unearthed on condition that the group consists of at least two people and is made up mainly of Ainu people living in or with links to the region. In cases where more than one organization exists in the same district, groups would have to decide between them which one receive the remains. Any role for the Symbolic Space was not addressed in the latest draft. According to the government’s new guidance, the two groups competing over the Shinhidaka remains — Kotan no Kai and the AAS — should discuss a resolution. At a preparatory proceeding on June 22, Tachibana suggested DNA testing of the remains could help identify the descendants of the Shinhidaka Ainu. “To verify the proper person to return the remains to, the Council for Ainu Policy Promotion is discussing conducting DNA tests of the remains transferred to the memorial hall. For starters, this would be done in the Shinhidaka case,” says Tachibana. He is preparing to submit documents about the feasibility of conducting meaningful DNA tests on the remains. The annual memorial ceremony at Hokkaido University’s ossuary in Sapporo in 2017. In 1997 the Ainu Culture Promotion Law was enacted, just short of 100 years after the government formalized its assimilation policy with the 1899 Hokkaido Former Aborigines Protection Act. Yet 20 years on, Japanese people still have little knowledge of the history of the Ainu and its legacy of discrimination against the ethnic group. According to a March 2016 survey, 74 percent of Japanese have never been exposed to Ainu people or their culture. A 2013 opinion poll found that only 13 percent were aware of the Symbolic Space. 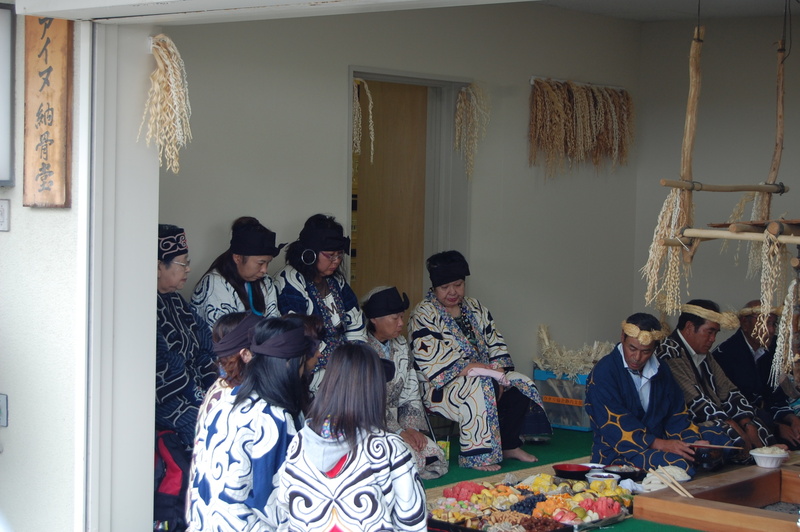 In May of 2016, the government announced it would formulate a new law to improve the living standards and education of the Ainu, which would include confirmation in law that the group is an “indigenous people” of Japan. On May 14 of this year, the CAPP announced that the new law would include measures on “regional development” and “industrial promotion,” but it neglected to mention living standards and education. The shift in focus of the proposed bill away from welfare and education and toward business is fuel for the view among some that government interests rather than those of the Ainu themselves drive Japan’s indigenous policy. Cynics note that the Diet quickly passed the resolution recognizing the Ainu as an indigenous people days before a Group of Eight Summit in Hokkaido in 2008. In a similar “intentional coincidence,” the Symbolic Space is supposed to be ready for a grand opening just in time for the 2020 Tokyo Olympics. 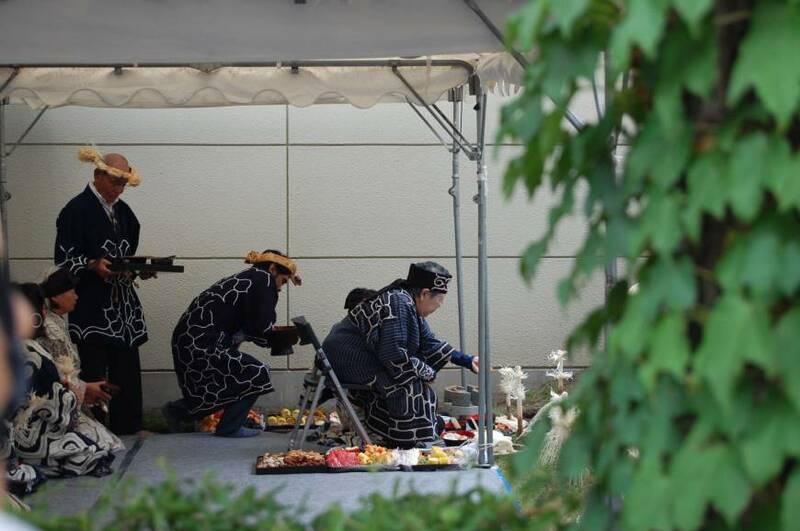 The state’s role in the establishment and ownership of the Symbolic Space raises some thorny questions that have yet to be addressed, says Ichikawa, particularly surrounding the issue of Ainu memorial services. Tsugio Kuzuno, vice head of Kotan no Kai, sees no value in one-size-fits-all memorial services at the Symbolic Space to finally lay to rest the souls of ancestors from numerous kotan. “They say that memorial rites will performed with respect for our dignity, but each kotan has its own rites and prayers for burial. How can the burial rituals in Ainu spirituality be performed for remains taken from different kotan in the Symbolic Space?” he asks.